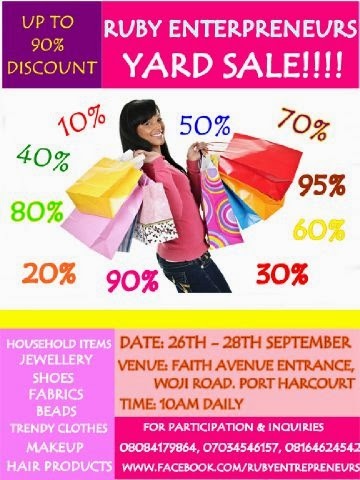 RUBY ENTREPRENEURS quarterly yard sale is here again!!!!! Buy Household items, makeup, shoes, Ankara accessories, beads, hair products, fabrics, clothing, bags and lots more at very very low prices. We clearing out out old stock and everything must go!!!! We also have a special charity sale, proceeds from that box will be given to the charity!!! !